The Dakar state of mind is already present in Peru, which will host the event again in 2019. During a press conference, held at the Ministry of Foreign Trade and Tourism, Minister Roger Valencia confirmed that the 2019 Dakar will be contested exclusively in Peru and will contribute to the development of the local economy and strengthen the image of the country at the international level. The figures relative to the passing of the 2018 Dakar on Peruvian soil offer reason for optimism. According to studies carried out from January 3-11, the 2018 Dakar Rally generated revenue (tourism, expenditures made by Peruvians and investments) in excess of $130 million. More than a million spectators attended the rally and its related events. Peru also benefited from the Dakar media coverage, whose publicity impact has been estimated at $300 million. The promotion value for Peru increased to $154 million. The Peruvian government will contribute $6 million for the 2019 edition. The Minister of the Environment, Mrs. Fabiola Muñoz, reaffirmed that the rally-raid is a challenge to be taken up by the entire country, its Government, the organisers and the population and it is an extraordinary chance to shine a spotlight on Peru as it concerns the environment. Rally Director, Etienne Lavigne then thanked Peru and the Peruvian authorities for their warm welcome. He also confirmed the running of the Desafío Inca within the Dakar Series this September 14-16. This event will be an ideal opportunity to discover the dunes of the Ica desert in the perspective of the Dakar 2019. The Dakar Tour took place after the press conference. This event reunited the competitors at the Lima Hilton Miraflores. It was the occasion for the participants, the organisers and authorities to exchange information and comment on the challenge that will come early next year. Aware that they will compete in front of their public, the Peruvian competitors are more enthusiastic than ever. They will be able to count on the avid support of their compatriots on every stage. Nicolas Fuchs and Fernanda Kanno, who retired with a mechanical problem in 2018, will have their chance for revenge and they also intend to finish strong in the general classification. 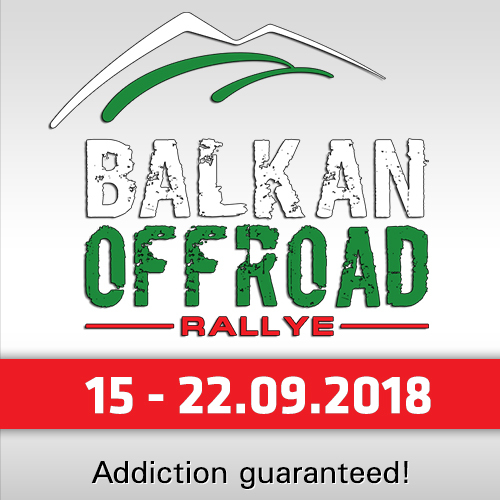 Alexis Hernández (5th), Rómulo Airaldi (22nd) and Lalo Burga (84th), who finished the rally, will try to be more competitive and improve in the general classification. Christian Málaga will participate in his third Dakar and is fully aware of just how hard it is to finish the Dakar. "It will be third time lucky," says Málaga. "I can’t wait for it to start. This race is now a part of my life and I have to make the most of the fact that it will be run in Peru." Lalo Burga insists on his satisfaction and motivation. "I know that it is a tremendous opportunity for all Peruvians to have a race as big as this in our country," recounts Lalo. "It will be a 100% Peru Dakar and I suppose that the rally-route will be very technical and a real challenge." Rómulo Arialdi says, it will be, without a doubt, a big Dakar. "If the Dakar had to, one day, be held in just one country, it had to be Peru, because the country represents the essence of the Dakar, especially with all the dunes. 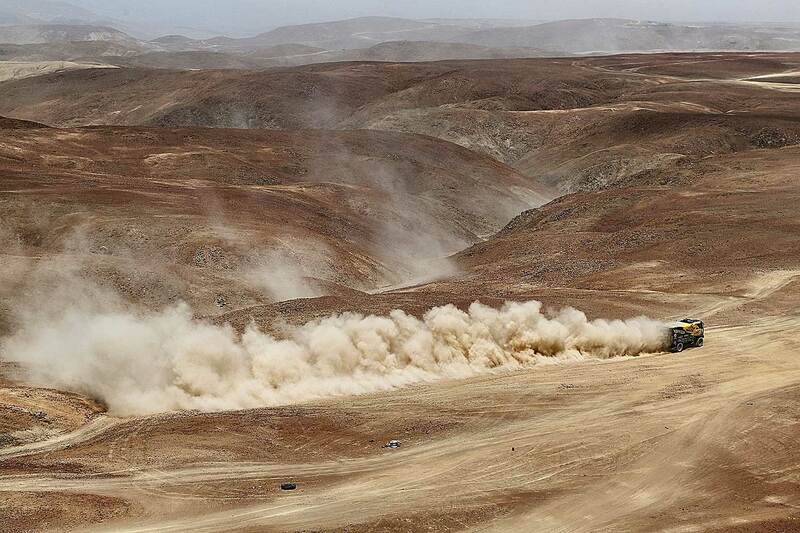 Our country offers all the different types of terrain and I hope that this Dakar will be very demanding. I hope we will have to take on the biggest dunes and that the race will be very hard, because Peru has the necessary geography to organise a complicated rally-raid. The Peruvian competitors are very comfortable on this sort of terrain. It will be a really spectacular race." For his part, quad rider Alexis Hernández, who is the most experienced Peruvian in his category, affirmed that "it is a big opportunity. The dunes were the most difficult aspect of the 2018 Dakar. We will have to take advantage of the fact that we will be racing on home soil. Our knowledge of the terrain should be an advantage. But I think that we will also go to some regions of the desert that we never thought we could reach." At the end of the 2018 Dakar, Hernández posted this on the social networks: "We finished a difficult Dakar, fully satisfied, proud and covered in dirt. Our team of warriors is unique." 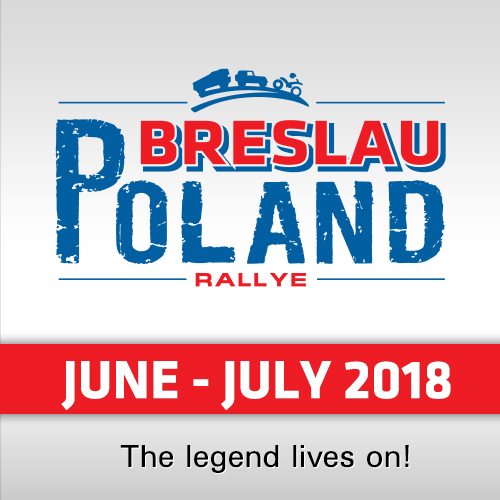 He will take part in the 11th edition in South America, the first exclusively run in one country and whose principal challenge will undoubtedly be the Peruvian desert. The 100% Peruvian Dakar presents another surprise. 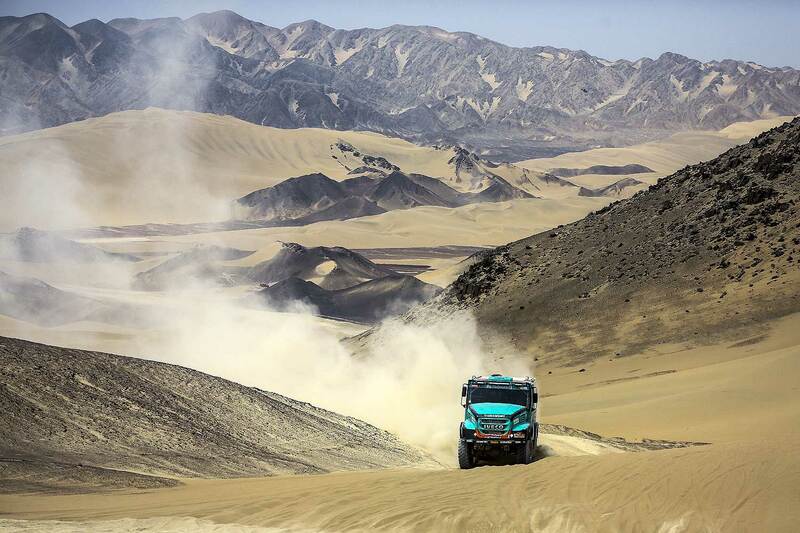 This year, the Desafío Inca will once again be part of the Dakar Series, which is a competition in which the competitors can test their vehicles, but also their ability to negotiate the Peruvian dunes. 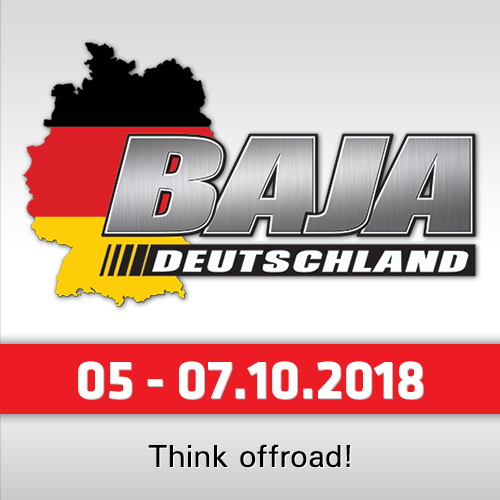 The Desafío Inca is a three-day competition in the Ica desert and will be open to motorcycles, quads, cars, SxS’ and trucks. The technical checks and the star podium will take place on September 13. Three loop stages will be run from September 14-16. 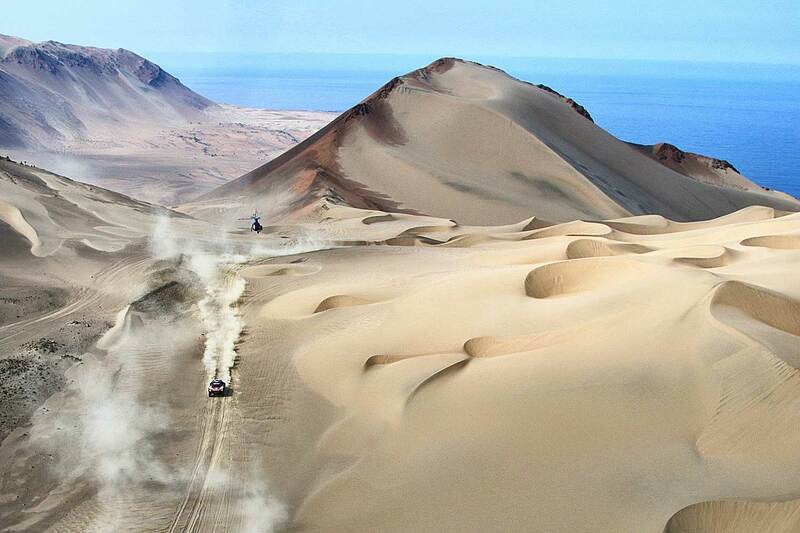 The Desafío Inca is clearly, this year, the antechamber of the Dakar.